Erected by the Robert Emmet Association 2003. 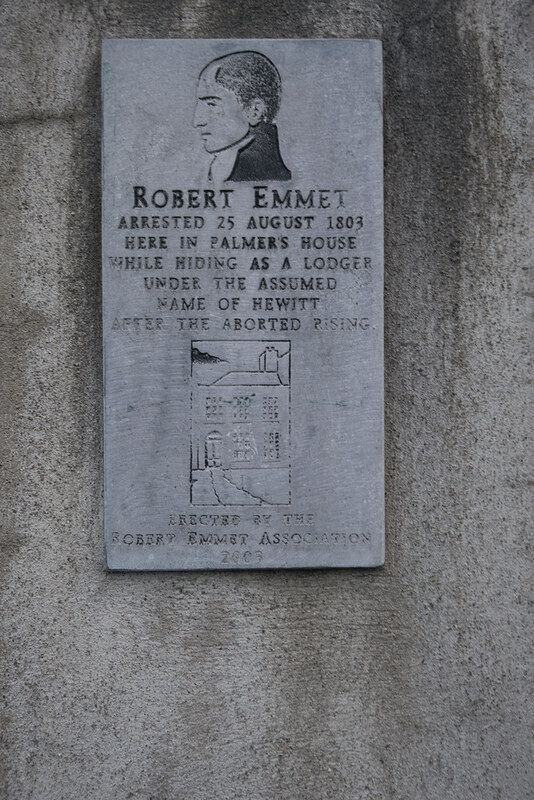 1803 - The British captured one of the most famous revolutionaries in Irish history, Robert Emmet, at the home of Mrs. Palmer in Harold's Cross, outside Dublin. 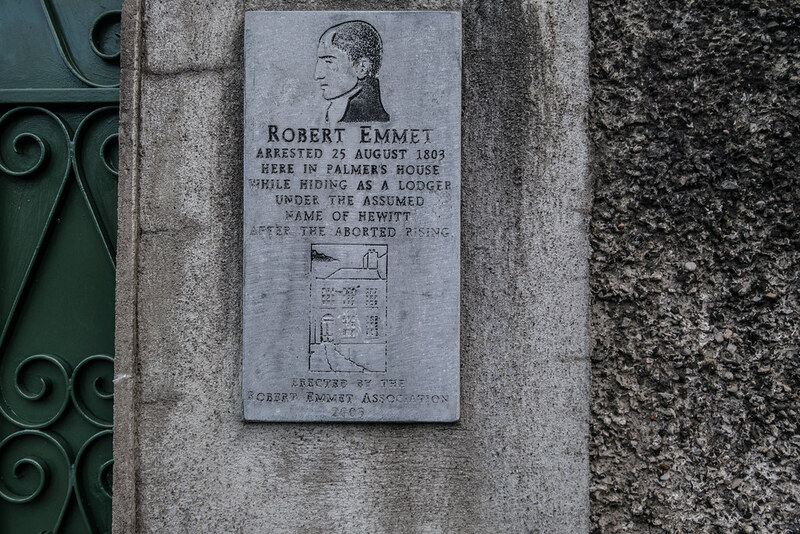 Robert Emmet (4 March 1778 – 20 September 1803) was an Irish nationalist and Republican, orator and rebel leader. He led an abortive rebellion against British rule in 1803. He was captured by the British, tried and executed for high treason against the British king. After the failed rebellion Emmet fled into hiding, but moved his hiding place from Rathfarnam to Harold's Cross so that he could be near his sweetheart, Sarah Curran. In all probability he might have escaped to France, had he not insisted upon returning with Anne Devlin for the purpose of taking leave of Sarah Curran, daughter of John Philpot Curran, to whom he was engaged. He was captured on 25 August. Emmet was at once taken to the Castle, and thence removed to Kilmainham.